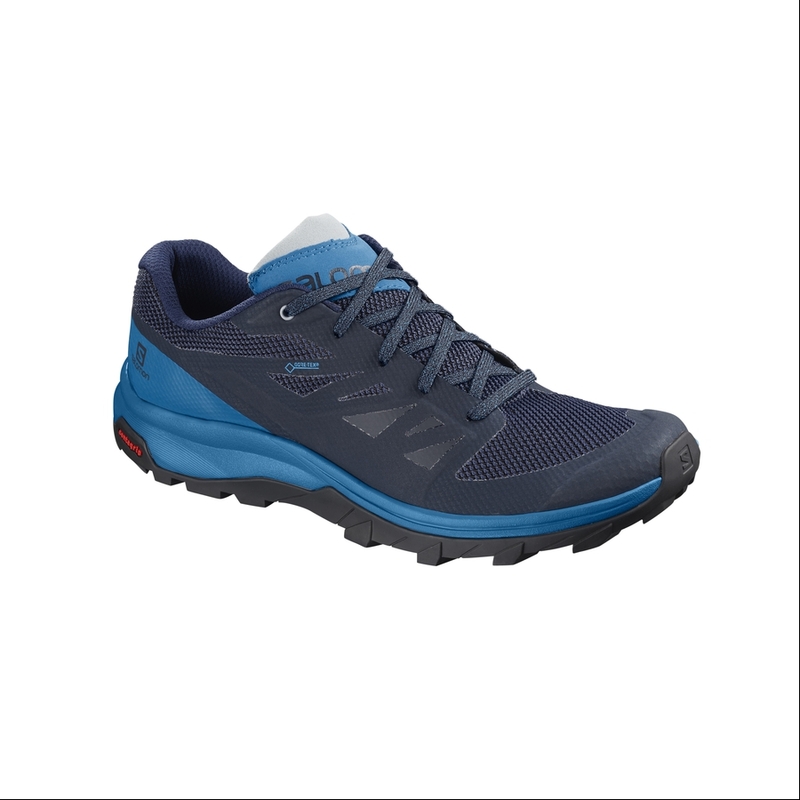 The sleek OUTline GTX is ideally suited to such adventures, with lightweight and flexibility like a running shoe, but enough grip and protection for any trail. Built with a running last and multiple integrated features, this shoe looks as light and agile as it feels. The upper of the Salomon OUTline GTX is constructed with a durable waterproof GORE-TEX membrane providing greater flex, better cushion and less weight. The GORE-TEX membrane is an extremely thin layer of expanded polytetrafluoroethylene (ePTFE). It has over 9 billion pores per square inch and it's these pores that give the GORE-TEX fabric its characteristics. Wet fabrics rob your body of warmth. This waterproof membrane allows you to stay dry whilst allowing air to permeate, ensuring you keep comfortable on long runs. Incorporating Salomon's High Traction Contagrip on the outsole with 5mm deep lugs that are highly separated to help facilitate responsiveness, grip, and allows for a more efficient mud and snow release. Ultra lightweight and engineered with great flexibility. Suitable as a running or hiking shoe.